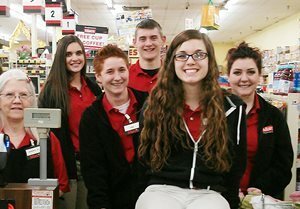 Marc's Grocery Store is growing and we want YOU to grow with us! 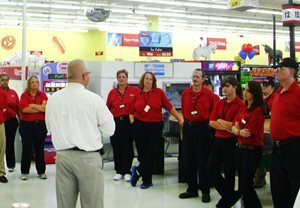 We operate 60 stores throughout Ohio and we are looking for hard working individuals with a commitment to success. Our Assistant Manager Program is structured and defined to help prepare you for a career in retail management. You will become accustomed to basic store procedures and policies. The program consists of 6 weeks of on-the-job training. During your training you will rotate through each department within the store, gaining knowledge and exposure on how they operate, which will help advance your management skills. Come and be a part of over 40 years of success! We appreciate your interest in MGI. We are an equal opportunity employer and do not unlawfully discriminate in employment. No question on our application is used for the purpose of limiting or excluding any applicant from consideration from employment on a basis prohibited by local, state, or federal law. Equal access to employment, services, and programs are available to all persons. Those applicants who require reasonable accommodation to apply and/or be interviewed should notify a representative of MGI. Do you have grocery, drug store or chain retail management experience? Are you aggressive, hard-working and possess exceptional people skills? 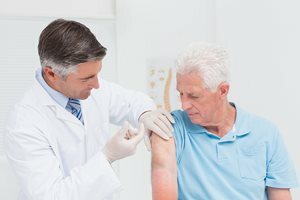 Are you looking for a company who is the undisputed retail leader in Northern Ohio? Are you looking for a challenging position with an unlimited career path? If you answered YES to any of the above questions, then Marc's is exactly what you are looking for! Because of our plan for future growth and future store expansions, we are looking for individuals with proven management skills. We offer salary commensurate with experience, including matching 401K, bonus opportunities, life insurance, medical & dental insurance, prescription discounts, and employee store discount are all included in our excellent benefits package. Please submit your resume electronically or by fax (216-267-0088). 5 Day Work Week! • Fast Track Advancement! Retail, Management, Store Security, Health & Beauty, Produce & Grocery, Cashiers, Warehouse, and Stock. As the top drug store chain in Northeastern Ohio, Marc's can offer you: Flexible Scheduling! Competitive Compensation! The opportunity to grow and advance! Full- and part-time employment opportunities available. 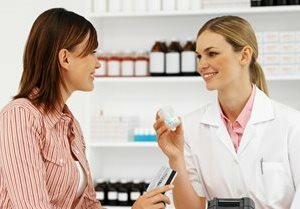 Marc’s Pharmacy is seeking full- and part-time pharmacy technicians. If you are self-motivated and want to be a part of a dynamic team, we have immediate openings at our Ohio locations. We offer competitive salaries, excellent benefits and flexible hours. Please submit your resume online electronically or by fax (216-265-7744). Apply in person at 111 Huber Village Blvd. Westerville, OH 43081 or 1828 West Henderson Road Columbus, OH 43220. Marc’s Pharmacy is seeking full- and part-time staff pharmacists who share our interest in providing first class pharmaceutical care and support to the customers we service. Immediate openings are available at our Ohio locations. We offer competitive salary, matching 401K, employee store discounts, excellent benefits and flexible hours.